**Allow up to 75 minutes for interview and treatment. Save time by filling out Health History form before you arrive. You will be considered a New Patient if it has been more than 24 months since your last visit to our clinic. clinic in advance and prepay to reserve the space. One on one treatment for those requiring special attention and/or complex cases. 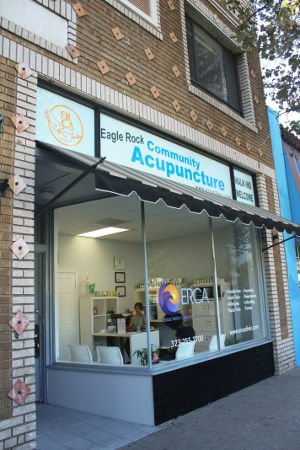 Is Community Acupuncture Right For Me? Those who need separate/private room for treatments – While we do have one curtained-off space where patients needing a “table treatment” (i.e. 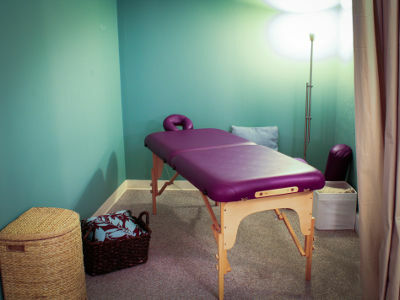 wish to lay flat, disrobe or needs a discreet, solo space) can avail, most treatments occur in our spacious, mood-lit room with pleasant soft music. But bear in mind, there may be ten other patients in there with you. You may hear some background whispering since the staff acupuncturists need to communicate with the patients. Or, there may be some patients who come-in to be treated for snoring or wheezing problems. In any case, we do our best to keep our space quiet and unobtrusive. Wearing the eye pillows which we provide helps shut out distractions. We also have noise machines and a water fountain strategically placed in the treatment room to temper noise/sounds. Those with contagious diseases – While we try our best to accommodate everyone, we are not a medical clinic equipped to respond to medical emergency situations or those with continuing chronic conditions that require prompt medical attention. If you think you have a problem that is “unusual” such as severe flu, cough, fever, vomiting, infection or any contagious diseases, you must seek appropriate care immediately. Once you are under proper medical care, we would be more than happy to treat and care for you. Those with mobility and movement issues/challenges and need valet parking or require an adjacent parking – The structure where our clinic is situated does not have designated parking space/s for clients or ramps for persons using wheelchairs. We only have street and metered parking. If you have this concern, it is highly recommended that you come in accompanied by someone who can provide support in walking and moving around. Once you make your online appointment, a confirmation email will be sent to you. Please download, print and complete the ERCA Health History Form before arriving for your first visit. Otherwise, please arrive 15 minutes early in order to fill out the forms we have in our office. An acupuncturist will review your personal situation with you and discuss a treatment plan. 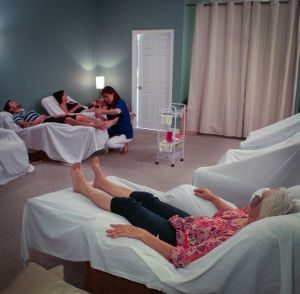 We will then move into the treatment room where you can settle into a comfortable recliner for community treatment or to onto our table for private room treatment. This appoinment will take approximately 75 minutes; subsequent visits will last approximately 45 minutes. At the end of the visit, the acupuncturist may recommend herbs or other in-house healing products. You will then pay for your visit and schedule your next appointment. Wear loose, comfortable clothing. We will need to access your lower arms and legs for treatment. We provide soothing music. If you prefer silence, please bring earplugs in order to block sounds. Refrain from drinking heavily caffeinated drinks prior to treatment. Give yourself enough time to enjoy the treatment. If you are unable to make the allotted 75 minutes, feel free to reschedule to a better time. Leave a little extra early to find parking. There is free residential parking north of Colorado as well as metered street parking on Colorado. We have a 24-hour advance notice cancellation policy. No shows, missed appointments, and same day cancellations will be charged $25.00. To maintain low operating costs and be able to provide you with affordable and low-cost treatments, we do not process insurance claims. However, upon request, we can issue a receipt that you can present to your health insurance company and see if they cover/reimburse acupuncture at all. Oftentimes our receipts are sufficient but please note that these do not include ICD-9 and Diagnostic Codes. Nervous System – triggers the release of pain–killing endorphins. Immune System – stimulates the body’s natural healing ability. Endocrine – regulates reproductive hormones. Also, stimulates the release of hormones that regulate serotonin in the brain. Circulatory – increases blood circulation and regulates vasodilation & constriction. By supporting all of these systems, acupuncture helps prevent the onset of disease. Is Acupuncture’s Effectiveness Just a Placebo Effect? No. Acupuncture has been widely used to treat a variety of domestic animals. It is regularly used to treat racehorses. These animals do not understand nor believe in acupuncture, but that does not prevent them from getting well. Yes. By law, acupuncturists in the state of California must use sterile, single-use disposable needles. This virtually eliminates the risk of infection. Additionally, all acupuncturists must be licensed by the state of California after completing four years of training and education. This rigorous program includes 3000 hours of classroom instruction and a minimum of 1000 hours of clinical residency. Finally, all acupuncturists practicing in the state are required to complete a minimum of 50 hours continuing education every 2 years to keep their license current. Generally patients do not experience pain. Acupuncture needles are about the width of a human hair and, upon insertion, most patients feel little or no pain. The insertion is quick and usually goes unnoticed. Patients report a sensation of warmth, heaviness, tingling, or a dull ache. Far from painful, acupuncture is often described by patients as a profoundly relaxing experience. Many patients fall into a deep and restful sleep and wake feeling refreshed. No. Just remove shoes and socks and we recommend that you wear loose-fitting clothing so that sleeves and pant-legs can be rolled up. We practice a style of acupuncture that mostly uses points located on the extremities to treat problems anywhere in the body.